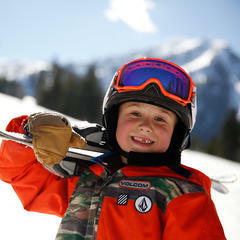 Every Utah ski resort has a beginner ski program for kids and adults. Flight School definitely sounds adventurous (Tom Cruise in Top Gun flashed before you, admit it). Even Culinary School sounds exotic thanks to the legendary Anthony Bourdain. It’s not the ski part of it. We love to ski, conjuring images ranging from the adrenaline seeking to the stylish (or, in Lindsey Vonn’s case, both). But suggest going to ski school, and folks will look at you like you just sentenced them to three days of Driver’s Ed. Come on! Ski school is not remedial or punitive—just the opposite. It is designed to take you to the next level, get you on more-challenging runs or, especially in Utah, into the powder or backcountry. Now, that sounds pretty cool. Here are a few things Utah locals teach and preach about ski school. Although first-time skiers and riders are highly encouraged to take some lessons (because you wouldn’t try to drive without some advice), ski school is more than magic carpets and bunny hills. In fact, the overwhelming majority of people enrolled in ski school have skied or snowboarded before. So, whether you need to get off that bunny hill or want to conquer a blue, black or double-black diamond run, take advantage of all the great instruction at Utah resorts. That said, if you are a first-timer, there’s never been a better or more affordable time to learn. 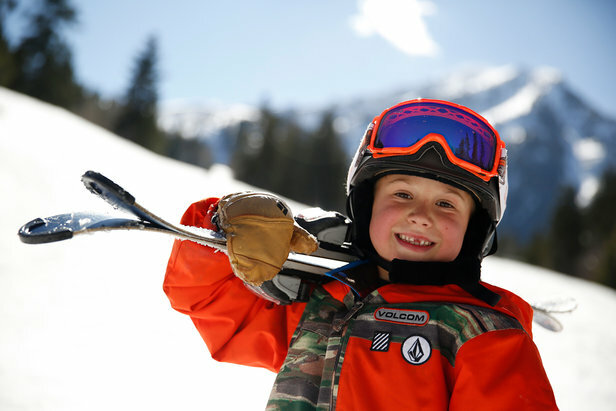 Every Utah ski resort has a beginner ski program for kids and adults, and most, like Powder Mountain, offer discounts throughout the season on gear, lessons and lift tickets. Brian Head Resort, in particular, not only has a great deal ($299 for 3 lessons, lift tickets and rentals) but a guarantee: Learn in 3 or it’s free! Just waiting for the right time? That might be January, which is Learn to Ski and Snowboard Month. Nearly every Utah ski resort offers a lesson, lift ticket and rentals for around $50 in January, and Alta Ski Area even has a $10 lift ticket to the beginner lift after 3 p.m.
Snowbird’s new Adult Mountain Experience is a five-hour workshop offered daily for advanced and expert skiers and snowboarders who want to explore terrain, hone skills and refine tactics (and yes, cut the line on a power day) on some of the most challenging terrain in the region. Some grumble they don’t want to spend their limited vacation time in ski school. “If you spend a hundred bucks on lift tickets each day, you want to get your money’s worth,” said Maggie Loring, Director of Snowbird Mountain School. She explained, however, that those instructional hours give you the most bang for those big bucks. Similarly, many guests lament that, despite skiing since they were young, they can’t ski like they used to and threaten to give up the sport entirely. Well, there’s no age limit to skiing. For proof, check out the viral videos of 100+-year-old George at Snowbird or ask members of Wild Old Bunch when they stop briefly at Alf’s Restaurant to refuel around noon at Alta Ski Area, where senior passes are only available to those over 80. Before retiring your poles, there might be a simple fix. Loring explained that instructors routinely fine-tune guests’ positioning or equipment, helping them to ski longer and better than ever before. My father-in-law experienced this firsthand last season when the instructor adjusted his stance, immediately taking pressure off his quads and allowing him to ski more hours and more days throughout the season. Locals’ Pro Tip: We ALL sign up for ski school on a Utah powder day in order to go to the front of the lift lines and do laps all day long. Lessons can address issues, overcome plateaus or unlock fears that open up incredible new experiences (no, your otherwise-wonderful significant other should not teach you, and lessons are cheaper than the resulting couples therapy). Look for specialty clinics available at Utah resorts grouped by type, such as: skiers, snowboarders, telemark, women, men, teens, special needs, seniors, experts, lapsed; or terrain, including: moguls, trees, backcountry, sidecountry. At the top of Utah, Cherry Peak Resort is introducing evening clinics focusing on improving select skills. 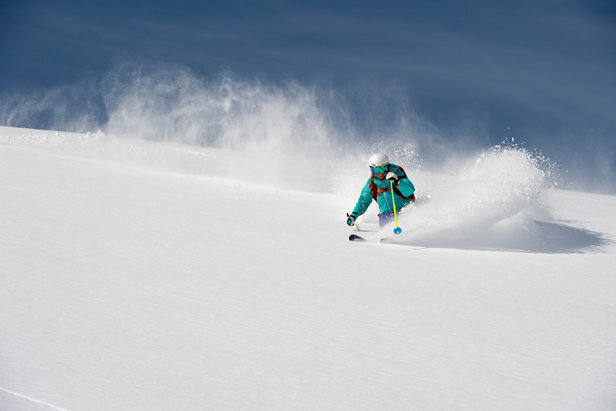 Deer Valley Resort offers the “Steeps & Stashes” three-day clinic for strong intermediate-to-expert skiers who want to ski off-piste because this resort has so much more than just its famed corduroy. 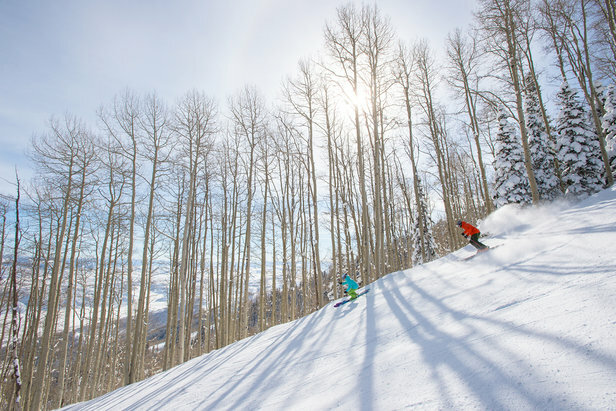 You’re skiing some of the world’s best terrain in Utah. Learn to ski all of it! 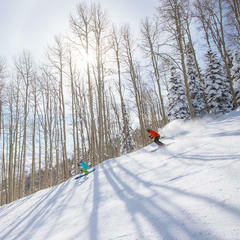 Deer Valley Resort offers the “Steeps & Stashes” three-day clinic for strong intermediate-to-expert skiers who want to ski off-piste. Private lessons are amazing, but they are also more expensive than group lessons, clinics or meetups. 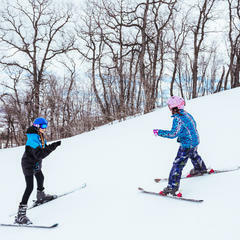 Moreover, a full-day private lesson your first day on the mountain can be exhausting, especially if you just traveled from Houston (50 feet above sea level) to Park City (7,000 feet). Consider joining a group to get you started. • Get to watch others succeed and fail—groups laugh and cheer for both, and it’s like having coaches and cheerleaders with you. • Hear more questions and answers. Those small insights and, often, hysterical comments stay with you. • Get a chance to rest and HYDRATE, which, counterintuitively, will keep you on the slopes longer. • Meet some amazing people who also love the outdoors. Snowbird’s new Adult Mountain Experience is a five-hour workshop (and a deal at $190) offered daily for advanced and expert skiers and snowboarders who want to explore terrain, hone skills and refine tactics (and yes, cut the line on a power day) on some of the most challenging terrain in the region. There are times when the snow or the weather is… less than optimal. That is because Utah is not an amusement park. It’s real nature stuff. It changes, and no one ever knows what it will do next. Sadly, not every day is a powder day, but one of the best group lessons I’ve ever had was on a crummy day that taught me how to ski crud and side slip down a nasty hillside. That lesson transformed my skiing, because learning how to do that now allows me to exit sidecountry gates, glide through some trees and roll over a little log to the opening of a powder-filled bowl that people pass all the time (no, I’m not telling you where). So, if the conditions are, shall we say, less than optimal, then sign up for a lesson or clinic and feel like a cool kid on the mountain.